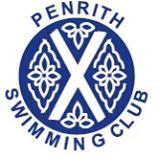 THE new trainer pool at Penrith Leisure Centre, previously the swimming baths, is to be formally known as the Frenchfield Teaching Pool in recognition of the contribution from the town’s swimming club. Members of Eden Council’s works and leisure committee agreed the club’s involvement should be officially recognised and a plaque erected. The initiative to build the learner facility came initially from the swimming club who contributed a donation of £30,000 towards the overall costs. The club raised the money through the sale of their former premises at Frenchfield on the outskirts of the town and through additional fund-raising.